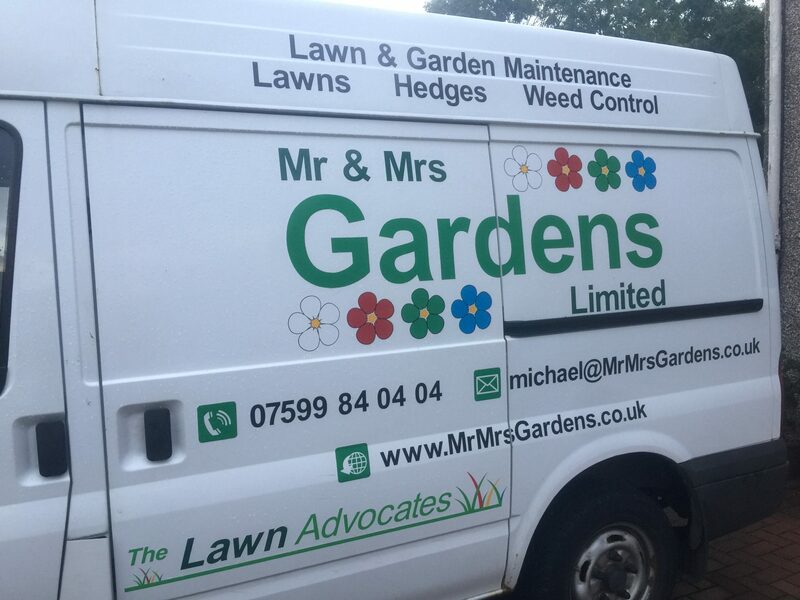 The Lawn Advocates is the business name of the lawn mowing & lawn care side of Mr & Mrs Gardens Limited. Whether you are just looking for regular lawn mowing, or you are in need of more advanced lawn care services, The Lawn Advocates have the service for you. 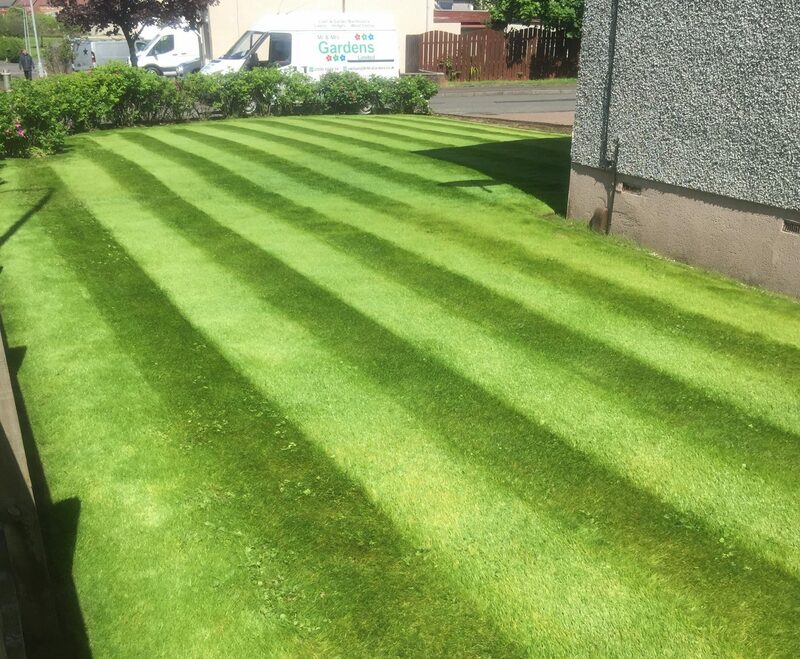 We carry out regular lawn mowing, grass cutting, and advanced lawn care services in East Kilbride, Hamilton, and the south side of Glasgow. 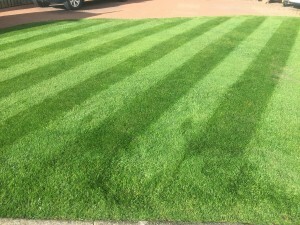 We specialise in lawn renovations, and also provide a variety of lawn care interventions and treatments – from mowing to fertilising to scarification and weed control, we can do it all. 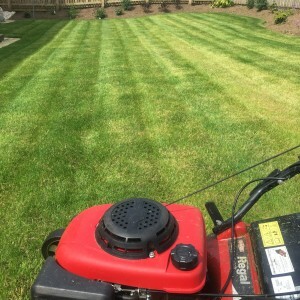 Regular mowing with a good mower with sharp blades will help keep your lawn looking neat and tidy, and can also improve the health of the grass. 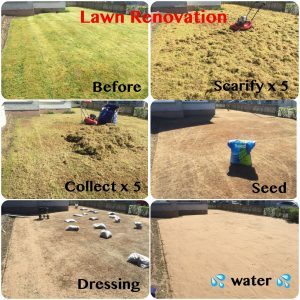 Sometimes it’s necessary to give your lawn a new lease of life with a renovation programme, such as scarifying, aerating, feeding, re-seeding & top dressing. 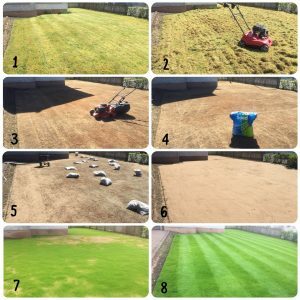 It will look worse before it looks better, but it’s often cheaper than relaying new turf, and the grass will be much healthier and stronger as a result. 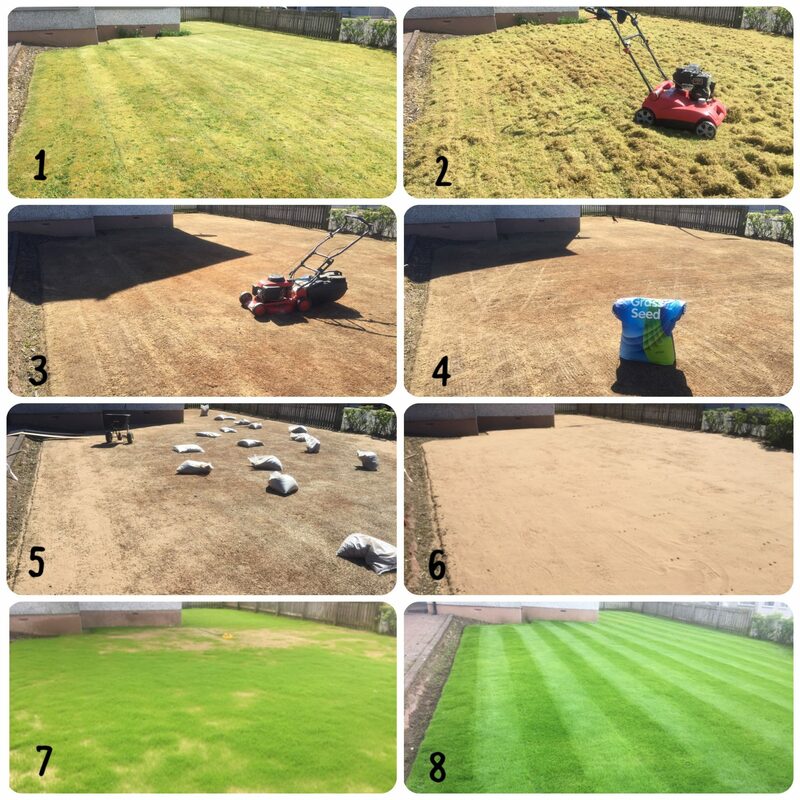 This is a process whereby small cores of grass, roots and soil are removed from the lawn in order to allow air to reach the roots and help relieve compacted areas. Essentially this is raking your lawn. 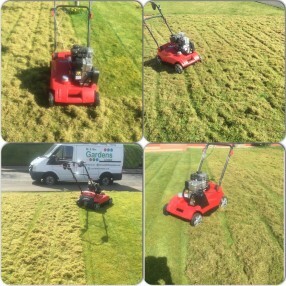 This can be done by hand, but we prefer to use a powerful commercial scarifier (a power rake). It removes moss and thatch from the lawn. You can watch our popular lawn care ‘scarification’ YouTube video here. 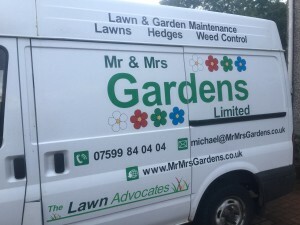 We have a wide range of commercial and sports grade fertilising products to help lawns look their best throughout all four seasons of the year. These range from granular slow release fertilisers to ensure the correct balance of nutrients are released over a phased period, to fast acting liquid products that green-up the lawn with a quick boost of nutrients. There are times when weeds can completely cover a lawn to the point where there is very little grass left. To help the grass compete with the weeds, granular or liquid selective weed control products can be applied to the lawn. These specialist products kill the weeds, but don’t kill the grass. 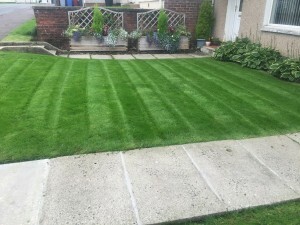 It doesn’t matter if you have a small lawn or a large lawn, it can be made to look beautiful. We love lawns, and we always enjoy speaking up for lawns and lawn care – that’s why we are called, THE LAWN ADVOCATES. Click the relevant icon below to be directed to THE LAWN ADVOCATES social media channel you would like to view.